Mi Max 3 – Big is nice! 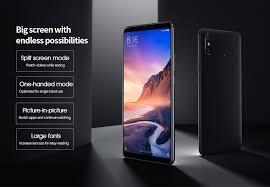 phablet par excellence of the Xiaomi house: the Mi Max 3. A huge smartphone, a mini tablet not suitable for everyone, but really special. I loved it and I tell you why. Let’s start from the specifications. to such a high performance display. To complete the video experience there is a stereo sound of excellent quality. IRDA, to use the phone as a remote control. The 4G + is present and … you hear … the band 20, fundamental for Wind and Iliad customers. second slot to house a memory card, which increases storage capacity. you will understand later why) and long-lived Snapdragon 636. On the RAM side you can choose a 4gb cut (I recommend it) or 6gb. The shots are clear and well balanced by day, but at night they suffer from the classic digital noise. all those lights! Here, the effect is more or less similar and I personally do not like it. Forget not to arrive until the evening and make a nice raspberry at the iPhone XS Max! quietly forget the charger at home and make fun of your friends. Deficiencies? NFC is missing, but we are still talking about a medium range. smartphones will seem like toys. Last two things and then, I swear, I really stop: the feeling in hand and the price. European importers, with ultra-fast delivery and 24-month Italy warranty. Max and, but lose the lot on the price, as far (far by far) more expensive. What to say … buy it! Have I told you that you will never come back? Hihihihi! version 4. I can not wait! ← How to add custom fields to the registration form in WordPress?